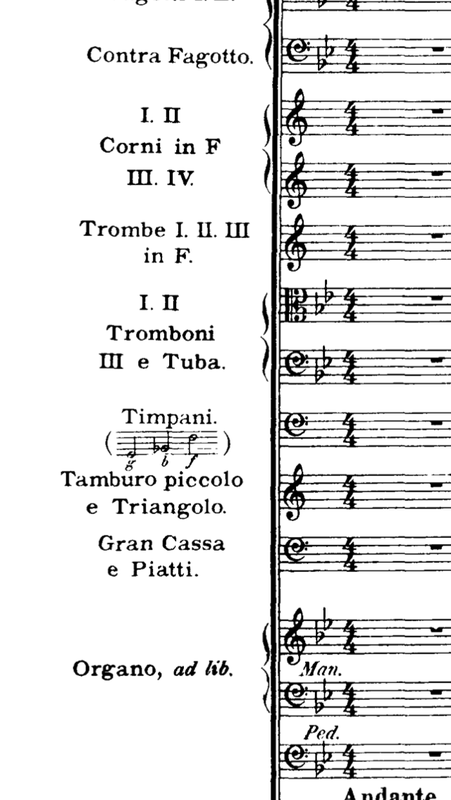 Musescore can do most of the things in the example. There are clefs that are similar enough, modifications can be made to put cymbals and bass drum on a bass clef staff, but there is one problem. I cannot put the timpani pitches in the instrument name. I would like to do this with my own scores. Is there any way. If not, I will put this in the feature request forum. Use the image capture tool for the notes on the staff and attach it to the first note. You can make room for the picture after the long name by pressing enter a couple of time after the name in staff/part properties to make room for the picture. That sounds like an annoying workaround but I have no other options. Sorry, but that's the only way I've seen it done.